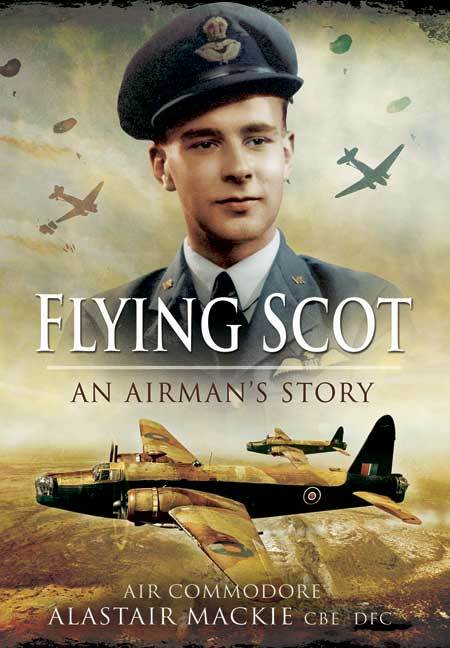 You'll be £4.99 closer to your next £10.00 credit when you purchase Flying Scot. What's this? This is the memoir of a 26 year career in the RAF, told with humour and modesty that belies the danger of flying over 47 different types of military aircraft in war and peace. Alastair Mackie began his operational career flying Wellington bombers over the North African desert war until converting to the B-24 Liberator. He watched the famous opening barrage at the opening of El Alamein from the air and became involved in supplying the besieged island of Malta together with hunting German ships in the Mediterranean. He was then posted to Northern Ireland converting to the DC-3. He flew during D-Day, dropping parachute troops into German held territory and continued these operations until the war’s end when he was part of the operation to return British troops and released POWs to the UK. He was then posted to a long-range DC-3 squadron and flew to all points East. After the war he was posted to The Central Flying School teaching future flying instructors in a variety of aircraft from Tiger Moths to Lancasters. After a tour in the Far East where he flew his own personal Spitfire, he returned to the UK to convert to the jet aircraft then coming into service. After a spell deskbound on the Cabinet Office Joint Intelligence Committee, which he disliked, he was appointed Station Commander at Colerne which operated the Hastings transport aircraft. Alastair was then appointed wing commander in charge of flying at RAF Waddington. The job also gave him the charge of two resident Canberra bomber squadrons, Nos 37 and 38. With them he was able to get plenty of flying in an aircraft he loved. After retiring from the RAF he commenced a career in Law and in his later years he has become a firm opponent of Britain’s nuclear deterrent, having seen its preparation with the Vulcan Force until the Royal Navy assumed the role it now has. Alastair Mackie joined the RAF in 1941 and trained on Wellingtons before taking one to the Middle East to join No. 108 Squadron in 205 Group. After bombing raids on Libyan ports, the squadron converted to Liberators. Next posting was to the UK to join a Liberator OCU and then on to join 233 Squadron for the Normandy campaign, later moving to 525 Squadron. Post-war he served in the Far East and later as Station Commander at Colerne in its Hastings days. His time at a desk involved in him in the internecine conflict with the Navy which wore him down and he retired from the RAD as an Air Commodore. A useful background to a varied career.